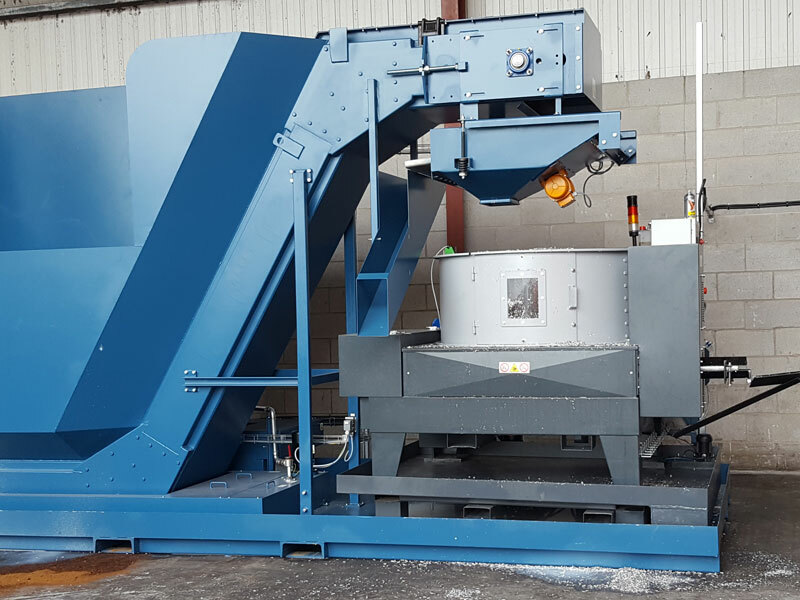 The hydraulic briquetting presses of the MPP NEM series convert aluminum, copper, brass, bronze, graphite and other nonferrous metals into dimensionally stable, cylindrically shaped briquettes. The MPP NEM machines feature a sturdy construction, which guarantees constant briquette quality in continuous operation. The pressing works by means of hydraulic pressure without any additives or glue. Depending on size and type of material, briquetting can reduce the volume of the basic raw material by up to 90%. The volume of a standard hopper is about 0.5 m³. 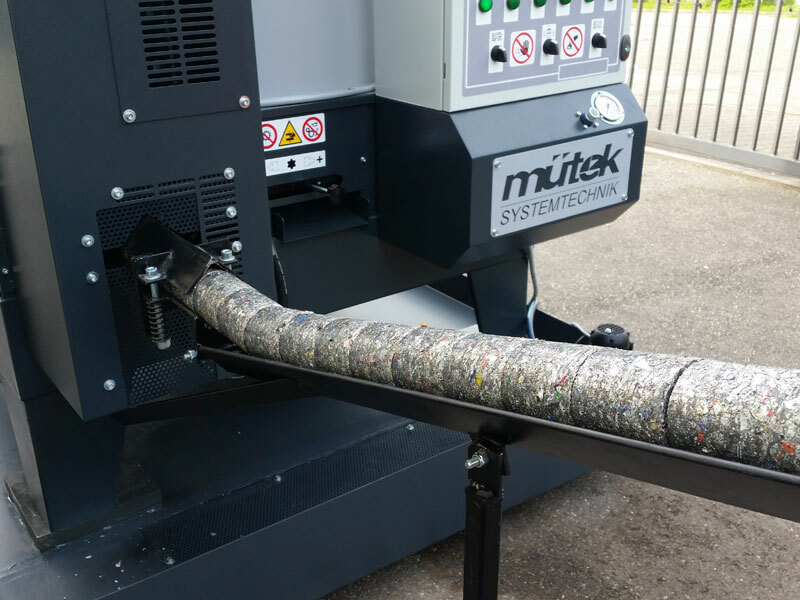 mütek also offers large volume hoppers, as well as special tanks combinable with a dust extraction system and filter plant. According to individual requirements, MPP NEM presses can be provided as turnkey or single machine systems. The hopper is fed manually via a screw conveyer, a extraction unit or a tipping container. In case of systems which operate fully automatic, it is recommended to use a tilting lift equipment in combination with a shredder. 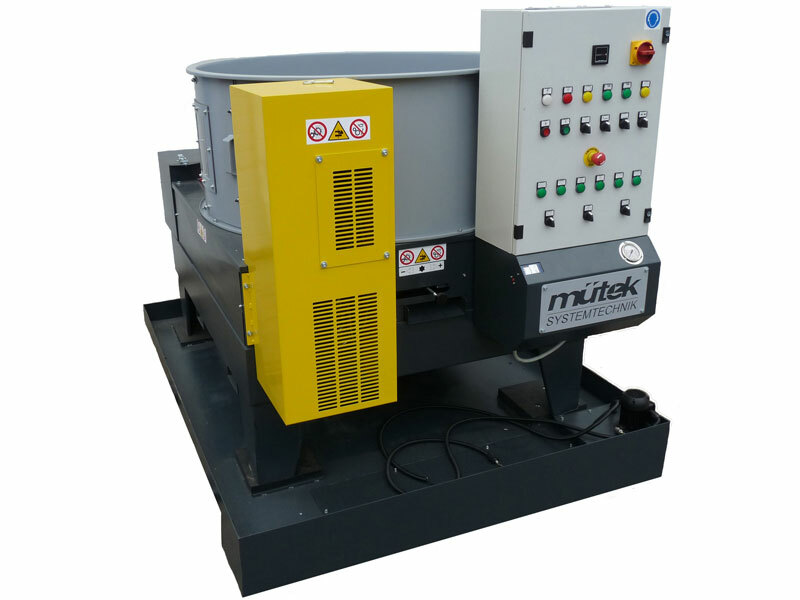 The MPP NEM briquetting presses are specified for the production of briquettes from homogenous material. Depending on the type of machine, the briquette length is 40 to 100 mm; the diameter 50, 65, or 70 mm. It is also possible to provide a sump tray in order to recover emulsion, so that coolants, abrasives and lubricants can be collected and recycled. 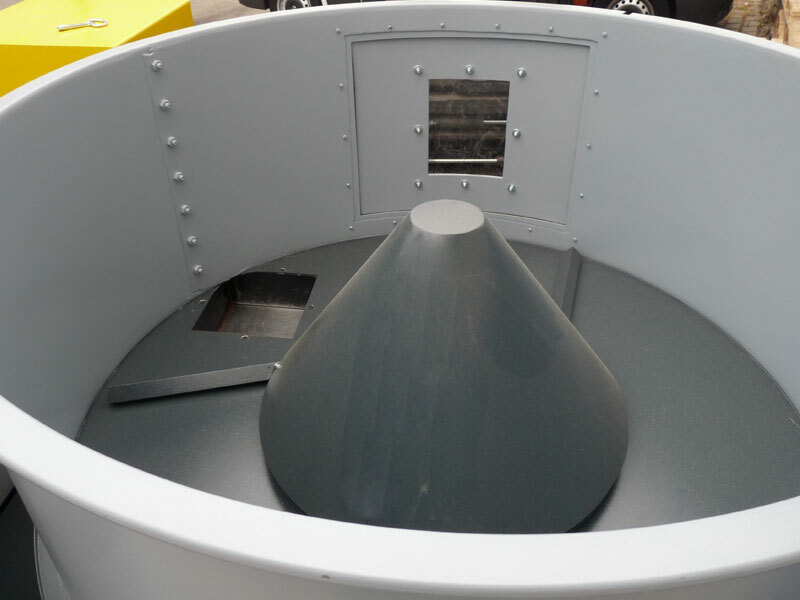 Non-ferrous metal shavings are fed into the hopper, where it is dosed and supplied by an integrated agitator into the pre-compression cavity. In this cavity runs a hydraulic piston, which pre-compresses the material and feeds the main cylinder. The hydraulic piston presses the material to a vertical slider until the required pressure is attained. A vertical cylinder is running upwards and finally a stabile briquette is produced. The more homogeneous the material, the more uniform are the results of the produced briquettes. All MPP NEM machines can be fitted with an oil cooling system for fully automatic operation. yes, the briquette diameter must be bigger 70mm. Please note diameter in field below.